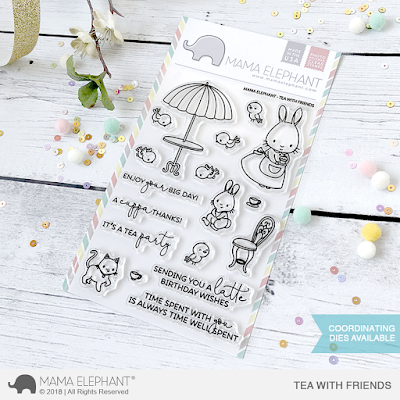 mama elephant | design blog: INTRODUCING: Tea With Friends and FREEBIE promo! 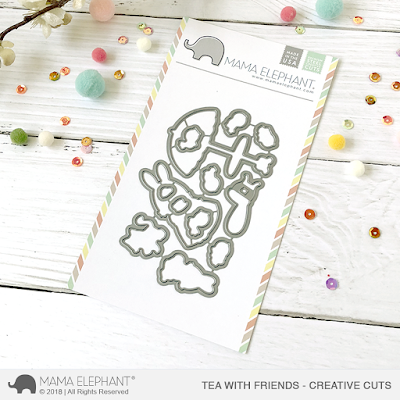 INTRODUCING: Tea With Friends and FREEBIE promo! We are introducing Aida Zamora's second set with us this month called Tea With Friends. We just can't get enough of her sweet storybook illustrations! There's so much to love about this whimsical new set -- so many charming images that depict a lovely day out! Got you wishing it's Spring and brunching out with your friends, right? 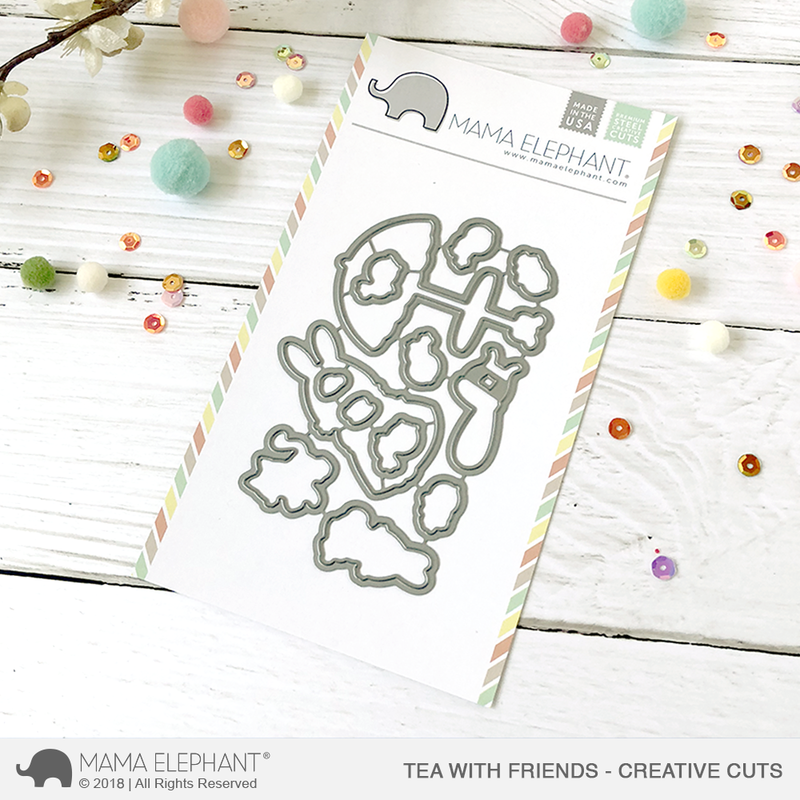 So many things you can create with this card -- it'll be great for a mama/baby card too! Tea With Friends and Picnic With Friends work perfectly together! I love how versatile this set is. I'm not a big tea or coffee drinker myself, but those punny sentiments would be great for my friends who are! Because this month is all about love, we wanted to express our appreciation and love for our customers with a freebie with every order! That's right, no minimums! Get one free, never released before "Lots of Hearts" creative cuts die set with every single order! These cute confetti hearts are sized perfectly for shaker cards! 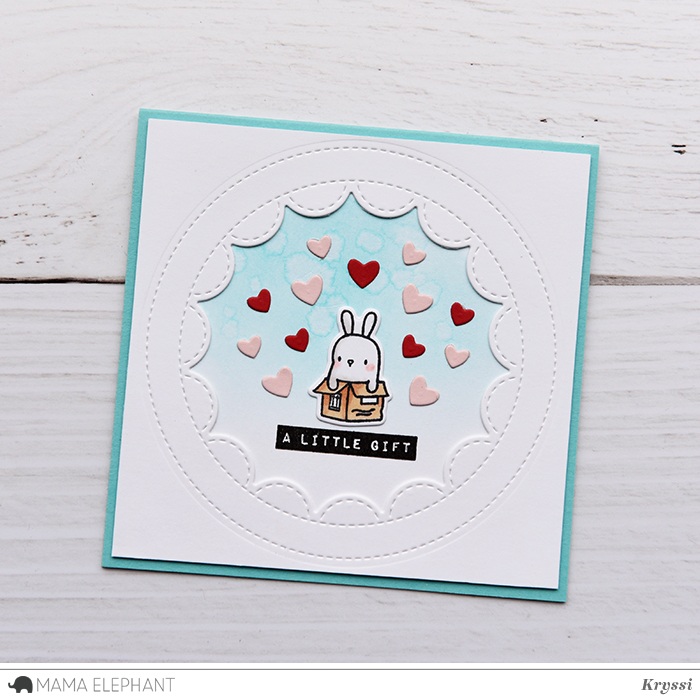 Here's just a little card I made using the Lots of Hearts freebie. Yes, totally inspired by the promo image and wanted to recreate it! So cute! Thanks for joining me all week! We hope you like the mega bunny takeover this release! The bunnies goes live tonight at 12AM EST! The Stampede with a fabulous Design team is tomorrow at 9AM EST! Oh my gosh, you guys really outdid yourself this time, I am so excited about all the bunny stamps (as I have a wee one at home), thank you so much! These bunnies are soooooo cute! oh those are so cute!